Step it up with the Green Bull 12' Fiberglass Step Ladder. This step ladder is designed to hold 375 lbs and is ideal for one or two person jobs. 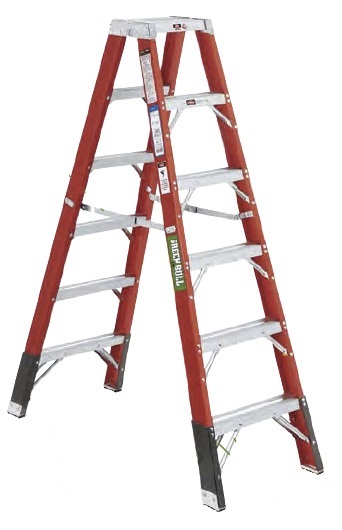 This ladder boasts heavy-duty all steel top hinge, internal spreaders, double-rivet step connections, fiberglass sleeves and a double braced bottom step. Part of Series 2042, this fiberglass twin step ladder offers support, durability and quality.